Opera Free VPN Review: Is It Genuine and Reliable VPN? Home / Internet / Opera Free VPN Review: Is It Genuine and Reliable VPN with 100% Privacy? Virtual Private Network aka VPN is used to access remote computer, server or browse Internet anonymously. Corporate offices or secured portals use VPN to browse the data without revealing the real IP address. In recent times, few countries implemented complete ban on social media sites and other online portals. For example, when Egypt banned Twitter, people used VPN to access it. Similarly when YouTube is banned in Pakistan, people use free VPN service to access the portal as well as other restricted sites. These VPN services are available for free as well as paid. The paid or premium services offer more servers and better bandwidth. Last year, Opera surprised the market by launching free VPN in-built in the browser to access restricted site. 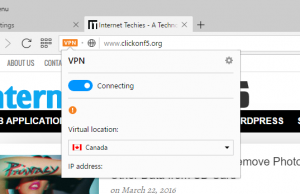 One can easily enable the VPN service from Opera settings panel and choose from 5 different servers – United States, Canada, Netherlands, Germany and Singapore. You can switch between the servers and browse Internet anonymously. Now you must be thinking, why still premium or free VPN service providers are there in market when anyone can use free VPN of Opera. Well, the answer is very simple, because Opera VPN doesn’t protect your data or anonymity 100%. Yes, you read it right and now I will explain it how. The free VPN service of Opera works only when you are using Opera browser with activated VPN. But when you connect a computer to the Internet, many other applications also start communicating with the web. For example, your chat client, software auto update service, email client etc. are also connected to the Internet and sending/receiving data. As VPN is only running on Opera browser, these communication are happening with your original IP. That means you are not protected and the privacy is at stake for sure. Now Opera is the purchaser and believe me, there are no free lunches. Either your are being sold a product or you are a product. 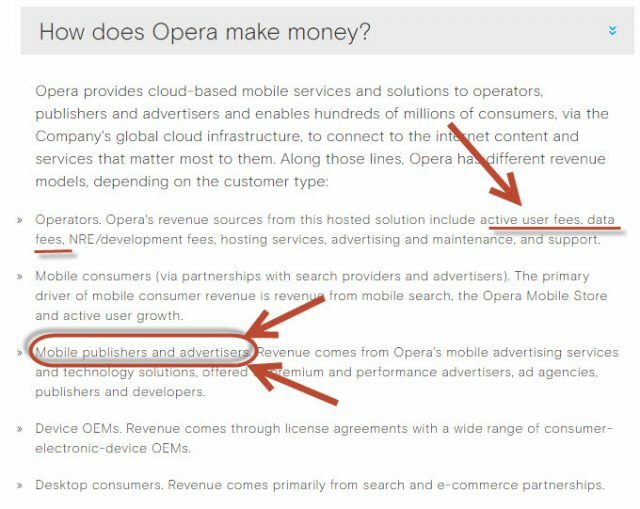 If you will check the FAQ of Opera browser and see the answer to the question, How does Opera make money? Here is the screenshot of the answer. Active user fee and data fee is one source of income for the company. Apart from that, mobile advertisement and other advertisement where user behavior is important, is one of the source of income for the company. To get good amount of advertisers, you need to showcase them a user base with a lot of information including their behavior. Browser based VPN service works as a proxy server service where your connect goes through an encrypted format via a server (middle man). Middle man server owner can read the connection and make a behavior out of it. 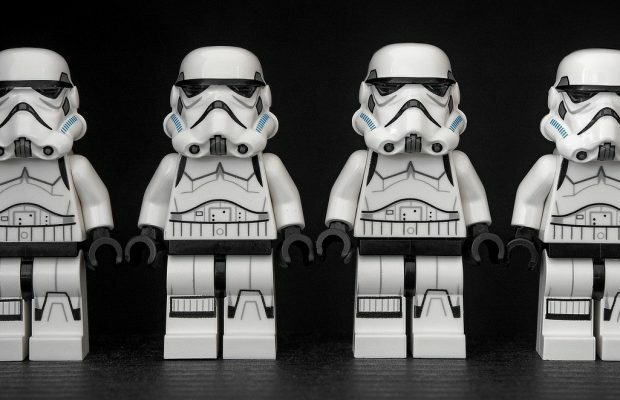 If you are browsing encrypted sites with HTTPS connection, the owner can not read the data but for HTTP connections, the data can be read. With lot many users using Opera and it’s free VPN, the company can definitely create a behavior pattern and sell that to advertisers. If you are just browsing the webs and like to access the restricted sites, this service is definitely good. But if you are concerned about the privacy and really like to remain anonymous, avoid Opera free VPN. I personally use PureVPN as it requires you to install a software on your computer so that anything that connects with Internet, should go through encrypted VPN server. You remain anonymous 100% with these kind of services. Their annual charges are around $36/yr. but that’s okay.